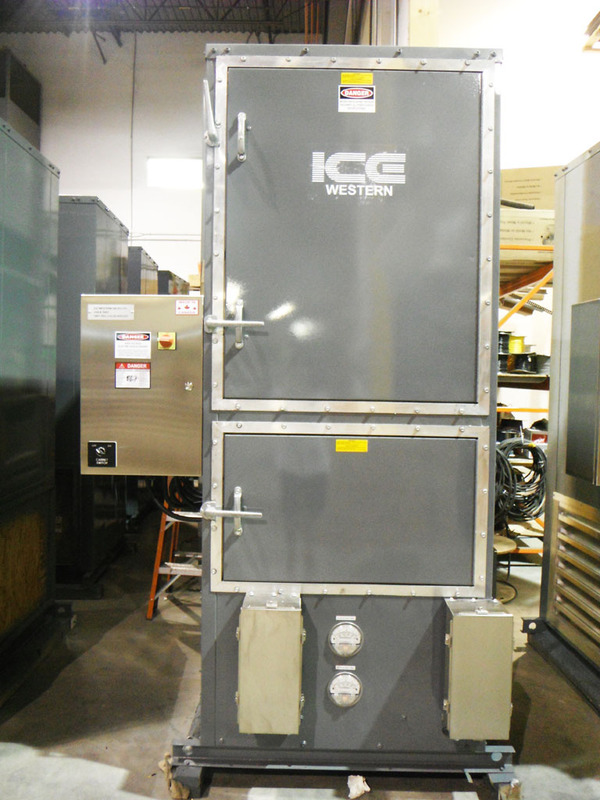 ICE WESTERN catalogs a comprehensive product line of custom air handling equipment with and without integral packaged DX cooling. Standard product offering range from 600 CFM to 70,000 CFM and 1 Ton to 180 Ton nominal DX cooling capacity, however much larger systems have been built over the years, with the largest being 350,000 CFM for a mine shaft heater. The custom air handlers can be provided with all type of coils, including steel tube coils with 300 lb weld neck flanges complete with CRN and U-stamp certifications. In addition to glycol heating coils, steam coils, and chilled water coils, the equipment can also be provided with electric heating coils or indirect fired heaters using 4 pass and 2 pass stainless drum and tube heat exchangers or stainless steel tubular heat exchangers. 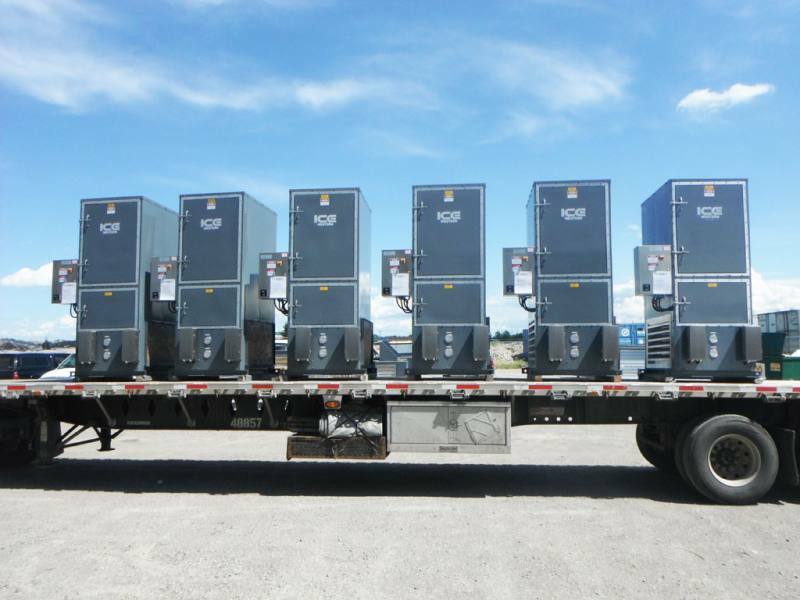 Units are customized to satisfy all requirements from the consultant and end user to on site conditions. Units can be provided end discharge, down discharge, top discharge, stacked, and vertical up-flow or down-flow arrangements. 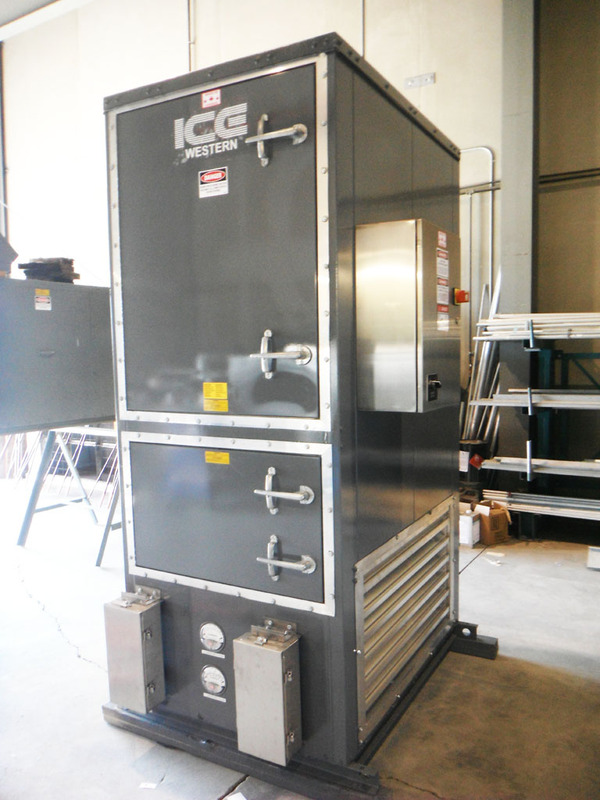 Units are also available for indoor installation with ducted condenser coils with centrifugal blowers. Units can be provided with all type of filtration from standard 2” pleated Merv 8 filters up to and including 99.99 efficient HEPA filters and gas phase filtration. 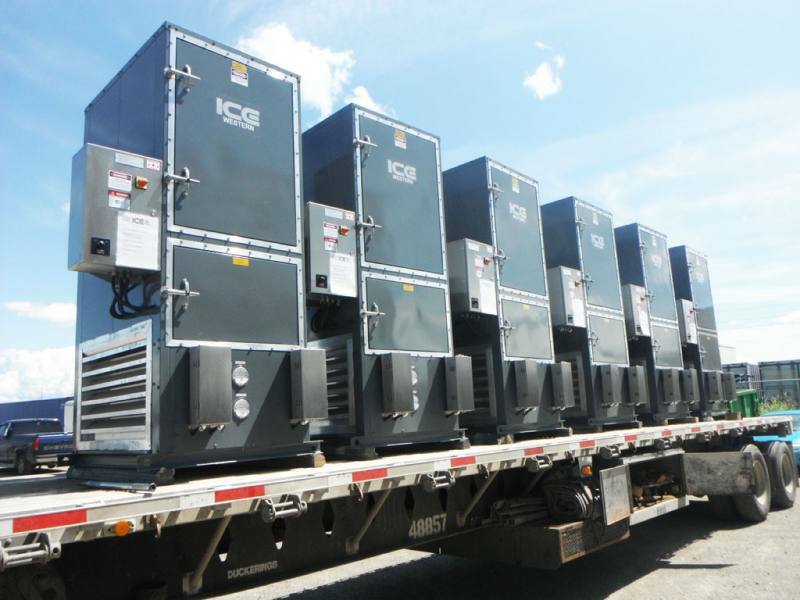 ICE WESTERN has a quality control program modeled after in ISO9001 which enables the company to provide the custom units via modified standards which ensure quality and reliability.